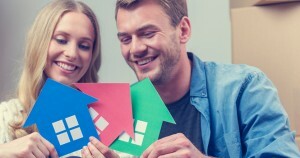 Home purchase sentiment reached an all-time survey high in July, an indication that Americans are feeling more upbeat about the housing market, according to Fannie Mae. Overall sentiment rose 3.3 points to a reading of 86.5. Each of the index’s six components– including selling outlook and personal finances – also rose last month. The share of consumers who said they would buy if they were going to move climbed to 67 percent, while the share of consumers who said they would rent dropped to 26 percent, an all-time survey low. Forty-one percent of consumers expect home prices to rise over the next 12 months, an increase of 8 percentage points from June. Household income rebounded in July as well, rising 3 percentage points to 11 percent. 33% of Americans say it’s a good time to buy a house, a 1 percentage increase over June. 20% of Americans say it’s a good time to sell a home, a 2 percentage point increase from June (a new survey high). 41% of Americans believe home prices will rise, an 8 percentage point increase from June. 36% of Americans believe mortgage rates will drop over the next year. 69% of Americans say they are not concerned with losing their job, a 1 percentage point increase from June. 11% of Americans say their household income is significantly higher than it was 12 months ago, a 3 percentage point increase from June’s sharp decline.